En este ensayo conclusión Elbay Alibayov considera y analiza tres escenarios posibles para Iraq: la partición, el federalismo y una reforma más limitada de las instituciones existentes. In a manner predating the signature Sufi tradition, al-Basri’s verse quoted above provokes thought and is open to numerous meanings and interpretations. One is that, where you go (or choose to go) in practical terms is more important than identifying your point of reference, where you came from (or where your problems originated from). It is particularly important to those who are at the crossroads—don’t look back (because where you already are matters more), look ahead and decide which way better suits your plans, aspirations, and resources—and then take it. It well may be that, by succeeding in your selected route you may end up better understanding yourself and your past. The problems of Iraq are multiple, but most of them seem to originate from few deep rooted and long suppressed causes that, once released in 2003, started their uncontrollable tornado-like movement. However, in spite of their scary manifestations, neither the problems nor their effects are inherently deadly—they do not pose an existential threat to the present Iraqi state. There is a real danger though, that if not properly addressed they would keep unfolding and paralysing the state and the society and, as a result, bringing more dysfunctionality, misery and suffering: as the old saying goes, there is no such thing as bottom; only endless milestones along the downfall into abyss. The only way out of this impasse is for the country’s polity, backed by regional and global powers, to negotiate and enforce a set of political arrangements that reflect both the historic tradition and political culture, and the aspirations of contemporary Iraq’s diverse populations. Theoretically, there are two alternatives to consider. One is to disintegrate—partition into independent states with dominant Sunni, Shi’a, and Kurd population (and with Turkmen being where Kirkuk and surrounding area belong to; unless of course the Iraqi Turkmen claim their own right for self-determination—which, considering their recent political activism may quite turn into reality). A few publications have mentioned this partitioning option recently as a possible solution (and some even extended it to Syria). Even though presented cautiously, these projections indicate that (1) there is an attempt of assessing the consequences of such an outcome and (2) they are merely testing the ground, to gauge the public and expert reaction to its possibility. Another alternative is to preserve the Iraqi state in terms of its sovereignty and territorial integrity, through undergoing political reforms. The difficulty of this task lies in the fact that any solution that intends at keeping the present state intact has to address two fundamental features of the Middle Eastern politics outlined in previous parts of this article—political tribalism and tendency for strongly centralized power—which set in motion respectively centrifugal and centripetal forces that compete, conflict and collide simultaneously. Under this alternative one can distinguish two scenarios. One is to reorganize the political and administrative system in a fundamental way – that is, creating a fully federal state with much power devolved to three autonomous constituent entities. This will demand the adoption of constitutional changes, if not a brand new constitution. Second scenario aims at strengthening resilience of the present state through a series of reform interventions and consistent institution building efforts and gradual (but meaningfully progressive) decentralisation—to avoid a breakdown and to evolve in line with and adapt to realities on the ground. These two scenarios are not negating each other and certain technical elements of one can be integrated into another in a complementary manner, if the need be. Below I present an outline of possibilities, opportunities and risks associated with these three options. It should be noted that neither of them is easy, straightforward or free from limitations and controversies. Any and all of them will demand a commitment to concerted and sustained effort, through consensus building between all major sides concerned. First, it does not solve the issue of minorities, ethnic and sectarian divides, since the population elsewhere across the country is heterogeneous—one cannot find a large enough area populated exclusively by Arabs (whether Sunni or Shi’a), Kurds, Turkmen, let alone Assyrians, Christians, Yazidis, to this matter. It became even more complicated as, according to some reports (namely, about Christians in Kurdistan), the land left behind by villagers fleeing the ISIL occupation has been retaken by their neighbours of different ethnicity or confession. Therefore, the sense of insecurity will remain as it cannot be solved automatically in such a set-up, and inter-group tensions will be inherited by now newly established states. Exchange of population to create homogeneous populations, in turn, runs risks of abuse, forceful deportation bordering with ethnic cleansing. Second, as noted earlier, divisions within each ethnic or sectarian group won’t disappear with the creation of new states. To the contrary, the chances are high that once left on their own the local factions (whether tribes, movements, or political parties) will fight each other for controlling the power even more fiercely. The history of Talabani vs. Barzani in Kurdistan or al-Sadr vs. al-Maliki in the South stand-offs can serve as examples. This rivalry tends to be quite violent and destructive, considering that each group has own militia at disposal. Further, there is a risk that divisions and violent confrontation will inevitably weaken these new states and put their survival as sovereign entities into question. On the one hand, this will create a space for various extremist groups to take advantage and fill the power vacuum. Sunni populated state, in particular, may turn into easy prey for religion-inspired extremist militant organisations. On the other hand, establishing small states with predominantly mono-ethnic or mono-sectarian population and weak political institutions make it possible for influential neighbours turning them into their satellites, through installing puppet governments and taking control over their resources openly (unlike present situation when cross-border influences are exhibited covertly and somewhat counter-balance each other). But that is not all. There is also an international dimension to partitioning. From the international law and practice point of view, there is a conundrum not resolved since the end of the Second World War. The United Nations and most of human rights declarations recognise both the right (of group, people, or nation) to self-determination and the right of sovereign states to territorial integrity (regardless of when and how those borders were set up)—without providing any proper mechanism of resolving potential tensions between these fundamental concepts when they conflict. And they have conflicted on numerous occasions all over the world, leading in the very soft outcome to confusion and diplomatic impasse, but more frequently turned into civil wars, long lasting terrorism, repressions, mass deportation and massacres. 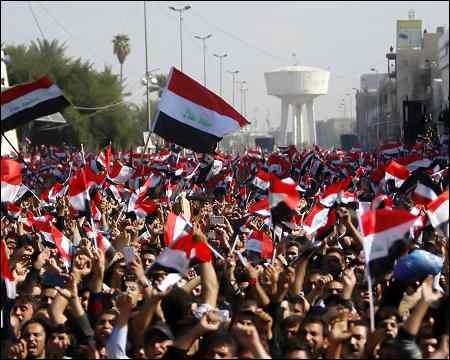 In the situation of Iraq, the creation of new states based on ethnic and sectarian principle will be formally framed as a “special case”, not to inspire many others to follow suit. That is not going to convince anyone with similar aspirations for independence, or those who are afraid of those aspirations as potentially threatening the integrity of their states. Think of sectarian minorities across the region (and all this at the time of heightened tensions due to jihadists targeting Shi’a along with traditional “infidels”, on the one hand, and ever escalating rivalry between Saudi Arabia and Iran over hearts and minds of Muslims in the Middle East, on the other). The partitioning of Iraq into Sunni and Shi’a states will awaken and may set in motion a chain of movements across the Middle East and North Africa region (country like Kuwait, with its reputation for tolerance and cross-sectarian coalitions in the parliament, is rather an exception). Think also of reactions of the governments in Ankara, Damascus (irrespectively of whether it is Bashar al-Assad led or not), and Tehran to creating an independent Kurdistan state. Turkey is home to almost half of the world’s Kurds (estimated globally between 35 and 40 million), while Iranian Kurds are estimated at about 3.8 million – these are not “tiny” minorities at all. Whether the Kurds, as the Middle East’s stateless nation, deserve having an independent state of their own is not much of a question for the international community. The problem is with different, conflicting perceptions of key stakeholders to the issue. Even though the Democratic Union Party (PYD) of Syria and the Kurdistan Workers’ Party (PKK) of Turkey take softer approach to independence that the Iraqi Kurdistan Democratic Party (KDP), it is difficult to predict what sentiments and practical moves the independence of the Iraqi Kurdistan—if turn reality in the immediate term—would trigger among the Kurds and the governments from neighbouring countries. Turkey is the case in point: the confrontation between the government forces and the Kurdish fighters has escalated into an open war since the summer of last year. In turn, after decades of calm, the Iranian Kurds have taken up arms; and it is difficult to predict what would be the mood in Syria’s Rojava once the land is liberated from ISIL and the West-backed and well-equipped and capable militarily Kurdish forces will take a close look at domestic issues. Therefore, before the Iraqi Kurdistan becomes an independent state (if its people ever decide to) there must be a prior process of diplomatic negotiations with involvement of all interested parties from the countries concerned—to avoid or, at least, anticipate and minimize to extent possible, future surprises. One thing is clear that today no one is ready to deal with this issue, under constraint of other pressing problems and the uncertainty of outcome—neither in the countries with Kurdish population, nor in the region, in Europe, United States and Russia. And finally, from economic perspective this option does not look attractive either. On the one hand, the Sunni populated state will be at disadvantage as its soil is scarce in mineral resources. Today, these provinces are receiving their share from the central government’s purse. Who is going to compensate for this loss? In turn, the economies of Kurdistan and Shi’a populated areas, too, are vulnerable due to their heavy reliance on oil exports. Industrial production and agriculture are at rudimentary levels, while for building a “smart”, technology-driven production and services they lack basic components such as communications infrastructure and skilled labour. Diversification, even if undertaken thoroughly, will take years to deliver. This is not impossible but demands continuous investments all the way long—something that these new states with weak economies will struggle to generate. The fact is that today the Iraqi economy is immature and thus cutting it in smaller pieces and distorting even those tiny existing value chains will further expose weaknesses and limit the capabilities for economic regeneration and growth in those states. Most probably, this will lead to even more inequality in wealth distribution, higher poverty and disenfranchisement of ordinary people. To sum up, the partitioning risks creating three failed states in place of the one struggling to avoid failing. By the constitution of 2005, Iraq is a federal state whereby Kurdistan region is an autonomous federal unit with its own government. 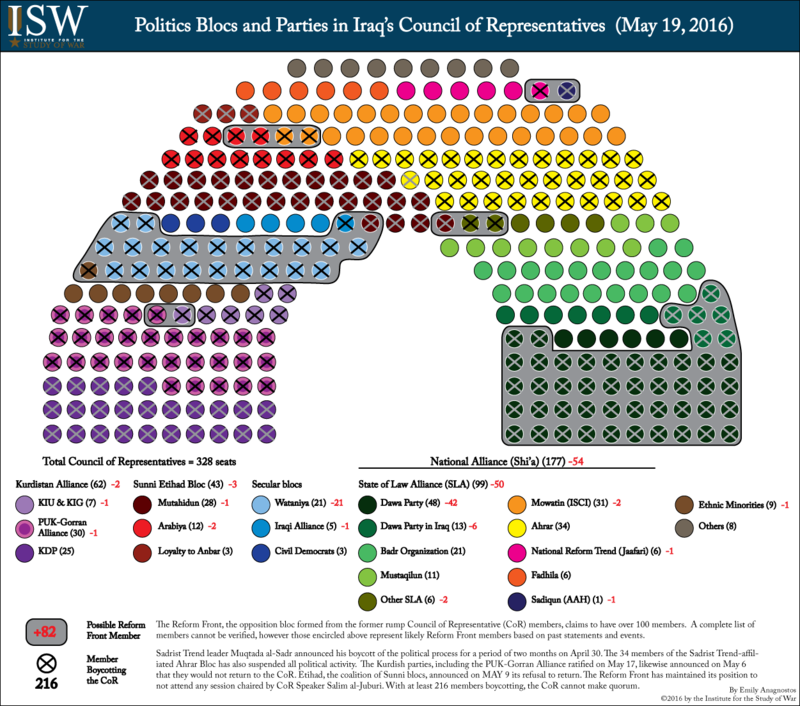 The relations between Baghdad and Erbil haven’t been always smooth and have been marked by numerous tag-of-war-like situations when important decisions and pieces of legislation were blocked in the Parliament or in the Council of Ministers. One point of continuous tension has been the revenue sharing formula from the oil exports (what else?). This rather tactical manoeuvring notwithstanding, it is right to say that federalism in Iraq has survived its test thus far. Under this scenario Iraq would comprise three federal units—Kurdistan and other two with Sunni and Shi’a majority population, respectively. This set-up is not impossible but requires a new constitutional arrangement with new devolved powers clearly stipulated. If properly designed and, most importantly, respected and implemented afterwards this constitution and the system it introduces may well work. It will to certain degree equalise the rights of Kurds, Sunni and Shi’a Arabs, in exercising the power and control of resources while (again, to certain degree) guaranteeing the rights of minorities in each federal unit. What it will not solve in and by itself is patrimonialism, corruption, divides between the country’s multiple political players, and the inefficiency of its public administration. There are two features of federalism that must be accepted by Iraq’s political elites (especially its Shi’a establishment) before they all decide to endeavour in this direction. One is that, although federalism offers a solution through decreased ethno-sectarian tensions (especially in a short term), it also encourages and fosters demands for secession over time. To borrow from the English constitutional theorist A.V. Dicey, “there is no midway between federalism and independence.” This is already an issue in Kurdistan, where the leadership has announced their intention to take course on the independence referendum—a move that makes Baghdad’s political establishment feeling uneasy. How would they react if two entities decide to secede one day? These are not easy things to digest. Therefore, accepting a legitimate right of each federal entity to break away through a popular vote at some point is one precondition to this scenario. Ideally, the creation of a new federal state of Iraq would go through an inclusive process of constitution building rather than closed-door elite talks. It has been demonstrated on many examples in the recent decades that extensive community engagement and participation in the design of a constitution (especially in post-conflict country) has a number of benefits—it helps create a sense of belonging to one polity, underlines common values and shared vision, as well as helps enhancing post-conflict reconciliation and community cohesion. Therefore, the quality of constitutional process may be equally important as the textual fineness of the document it is ought to produce. It is believed that, developed in such a participatory fashion the constitution stands better chances to be respected by its citizens and political leadership. As any process of deliberation that is built on broad participation, the constitution making in Iraq is not expected to be a straightforward endeavour. First concern is (obviously) security: how to conduct numerous town hall meetings and discussions across the country without making those public gatherings a target for extremists? I am far from idealistically believing that, once the war with ISIL is finished the peace, law and order will be immediately established across the land and terrorist attacks would belong to history. It may happen eventually, but not in one day and not right after the war; the constitution building though cannot wait—if this route is taken, then the country has to move towards its arrangement of choice. Second complication derives from the very fact of broad participation, when diverse groups bring too many issues of concern to their communities onto agenda. Not all of them are equally important or relevant to constitutional design, but individuals and groups feel strong about those issues and insist on discussing them, otherwise being disappointed by “selective categorisation”. Therefore, it may take much more time and effort to focus on major issues than envisaged at the outset. Another challenge to broad political discourse comes from the tendency to group polarisation, as observed on numerous deliberative political processes. The essence of this social psychology phenomenon is that, resulting from an open discussion groups tend to move towards even more extreme and oppositional positions than they initially held. This considerably complicates the job of consensus building and finding solutions to common problems. These challenges notwithstanding, it is still believed that broad based, inclusive constitutional process in post-conflict countries is one of the best ways to empower people and to enable them to listen to and better understand each other. The local political actors along with commitment and political will to act will need an expertise to facilitate the process in constructive and effective manner. This is where the international organisations, specialised agencies and donors can step in to offer both diplomatic and technical assistance. As noted throughout this series of posts, the real problem of Iraq lies in its institutions, which struggle to adapt to the changed regime type, on the one hand, and to the fast evolving external circumstances, on the other hand. Ability of an institution to assess the environment and modify itself in line with changes in external world (known as adaptability) has been the main factor behind successful development of numerous states throughout history. To the contrary, inability to adapt and adjust flexibly their internal procedures and underlining behaviours to demands of the day caused by stiffness, rigidity of institutions and the lack of resilient capability (especially when pushed to the boundaries) has frequently been the reason behind their demise and failure. This phenomenon is known under different names, depending on the nature of system observed: in social sciences it is called political decay, and all regime types, from tyrannies to liberal democracies, are vulnerable to it (in this or another way). But this is only one part of the story. There is no society or state that lives through only decay without simultaneously experiencing regeneration. And there have been small and large initiatives by the Iraqi government (with strong backing and technical assistance from international actors) to reform various sectors of economy and society and to increase the effectiveness and efficiency of public administration. Those reform attempts (sometimes successful and sometimes not) are the very manifestations of regeneration. Take, for example, the recent political deadlock triggered by the attempts of Prime Minister Haider al-Abadi to reform the decision making process and to improve the effectiveness of government. The aim was getting rid of poorly functioning and highly extortionate system of muassasa (a power sharing arrangement where Cabinet posts, and respectively public bodies reporting to them, are divided between political blocs based on sect and ethnicity) and creating instead a technocratic Council of Ministers. At the heart of this impasse is a situation (which is not unique to Iraq but exists in various forms in all government systems) when certain elite groups benefit from existing institutional arrangements and therefore defend the status quo by blocking any attempt at change. Interestingly, in this move the elites otherwise divided by ethno-sectarian principle exhibited an exemplary cohesion and unanimity. Iraq is undergoing an evolutionary process, albeit under extreme circumstances, where it has to transition into a stable and modern democratic state. The fact that the collision between political decay and regeneration has taken an extreme, at times violent, forms does not change or deny the nature of this process—which is and remains inherently dialectical. There are four factors necessary for the success of any reform. First is about the constellation of power—that is, how strong are the pro-reform forces, how well organised and cohesive is their coalition, and how inclusive it is in covering the geographic and administrative areas as well as various segments of society. Second is about the independence of bureaucracy (understood in Weberrian, technocratic terms) from undue political influence—that is, the ability of civil servants and public employees to do their job without being significantly constrained by political parties and blocs. Third factor is about technical capacity of government to perform. It concerns both the capacity of individuals and the quality of administrative processes. Besides senior office holders (like minsters and their deputies) and managers (like directors general who are in fact responsible for the daily business of public administration), the middle level officials at all levels (from central executive office to provincial governorates) are part of the equation. Technical capacity at regional and provincial levels of authority is one important precondition for a meaningful administrative decentralisation to take place. With regards to processes, this factor concerns the quality of coordination and decision making across main horizontal systems of public administration (such as public finance and procurement, human resource, IT and communications) both vertically and at each given level. Fourth factor is about domestic ownership. It is driven by commitment to reform of politicians, public and private employees, entrepreneurs, citizenry at large and their organised groups who see the change necessary, not merely desirable. This factor, especially in social domain, has been frequently underrated, although the practice has shown that without strong and capable civil society, independent think tanks, and the free media behind the change the state is not kept accountable, thus leaving the reform champions without broad public platform to rely upon. I won’t speculate on the parameters under each factor, for such an assessment requires a research with institutional appraisal and extensive stakeholder interviews, to be conducted. That said, analysis of available information and personal observations allow to say that all four factors are present in Iraq today, although not to the same extent and even so, neither is strong enough to make it through without sustained, long-term, and quite intensive and targeted effort. This explains the difficulties faced by the teams of Messrs al-Maliki and al-Abadi in advancing the much needed reform agenda over a decade now. The present situation in Iraq does not invite further criticism (too much of it has been aired from all angles, frequently without any constructive offer attached) or lamentation, but calls for action. It needs political communication and outreach (in order to build the public support for reforms and to organise the individual and small-group desires and drives) and more negotiation and bargaining between political leaders (perhaps with the brokerage and certain incentives offered by powerful external actors). It also will require a dedicated technical assistance to strengthen the capacity of government and civil society in key areas needed for the reform to happen and take root, and most importantly, to deliver benefits. The latter point is particularly important, because the success of this scenario is strongly conditioned on performance and tangible outcomes. The government will need to achieve and convincingly demonstrate results continuously, in order to prove its effectiveness and maintain its legitimacy and credibility. To do so, the government, along with resources, will have to adopt flexible approaches that would enable it to manage by discovery, timely adapt to the changing circumstances and to build the overall resilience of the system. For example, the appointment of technocratic Cabinet has proven problematic thus far. Perhaps, it makes sense then to employ a different, alternative plan which may prove as effective. One option would be to strengthen the government’s technical capacity through reinforcing its central executive office—that is, the General Secretariat of the Council of Ministers, COMSEC. Well functioning COMSEC will ensure both vertical and horizontal coordination within public administration, the continuity (especially at times of political blockages, but also in-between elections), and also consistency and coherence of policy making in long term and across various domains. There are three things which would bolster the chances of this plan to deliver the expected outcomes. First (as ever) is commitment of political elites to maintain the COMSEC’s technical role and keep political interference to minimum, while enabling them to exercise the discipline and simultaneously conducting the democratic oversight. Second is separation of political and technical functions within the broader Government Office, between the COMSEC and Prime Minister’s Office (PMO). And third is to design a system where COMSEC serves as a central nod in the network of technocrats active across ministries, regional and provincial authorities—without undermining the decision making and service delivery capacity of vertical systems (represented by individual ministries sector-wise and by regional and provincial authorities, geographically). I do not conclude this piece with traditional summary of findings and recommendations; the aim was to outline the options with certain degree of detail on their advantages and limitations—this all is a work-in-progress, after all. However, it is clear from the above that I favour the institution building scenario. Because it points clearly to the way forward without grand theories behind (which are good only for well-ordered situations, but hardly anyone would agree that Iraq today represents the one). Because it rests on a series of relatively small, tactical interventions (many of which would be implemented simultaneously but being decoupled to extent possible, to insulate the risks of failures). And finally, because it is the only option which is practically implementable in the immediate term—and time matters.